Experience Melbourne in style! 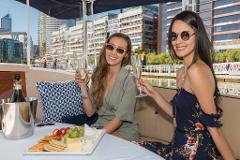 Enjoy an evening cruising the Yarra River taking in the beautiful views of Melbourne as the sun sets and the bright city lights ignite the city on our 1.5 hr private skippered wine and cheese cruise. 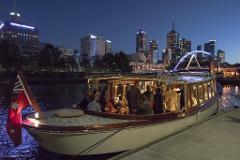 Enjoy a day or evening cruising up and down the Yarra River taking in the beautiful views as the sunsets and the bright city lights ignite over the Yarra River. 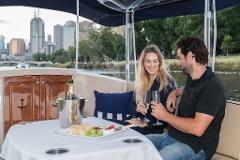 Enjoy an day or evening cruising up and down the Yarra River taking in the beautiful views as the sunsets and the bright city lights ignite over the Yarra River. The Birrarung is the ideal vessel for a private function or corporate event when you need to make a lasting impression on your guests. With enough space to accommodate guests outside or undercover, the Birrarung is perfectly equipped. 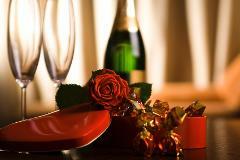 Looking for the ultimate romantic experience this Valentines Day? 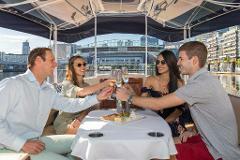 Why not treat your loved one to something extra special and unique with a private Yarra River cruise.